In 1992, in a remote mountain range, a team of scientists discovered the remains of an unusual animal with beautiful long horns. It turned out to be a living species new to western science - a saola, the first large land mammal discovered in 50 years. Rare then and rarer now, no westerner had glimpsed a live saola before Pulitzer Prize finalist and nature writer William deBuys and conservation biologist William Robichaud set off to search for it in the wilds of central Laos. The team endured a punishing trek, up and down whitewater rivers and through mountainous terrain ribboned with the snare lines of armed poachers. In the tradition of Bruce Chatwin, Colin Thubron, and Peter Matthiessen, The Last Unicorn is deBuys's look deep into one of the world's most remote places. As in the pursuit of the unicorn, the journey ultimately becomes a quest for the essence of wildness in nature, and an encounter with beauty. A second, even stronger purpose motivates this journey: one of the rarest creatures on the planet inhabits the forests to which we are bound. Or, rather, it has inhabited them until recently. Whether the clock of extinction now reads two minutes before midnight or two minutes after no one can say. Perhaps we'll know more when our journey is over. Perhaps, having learned to mistrust something we thought was certain, we'll know even less. The Last Unicorn is an enthralling and sobering account of a modern-day quest with a mythic underpinning, a tale filled with grace and eloquence and despair. It deals movingly with a brink that is much less celestial but more consequential – for the creatures of the world, and for ourselves. (Reviewed by James Broderick). With a wilderness-loving voice that is lyrical but never saccharine, deBuys elicits a sense of mystery and beauty befitting the creature itself. 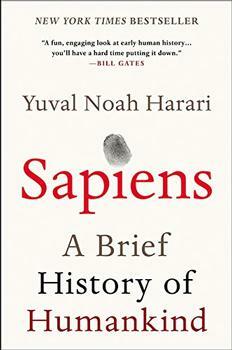 Recommended for readers of popular science, travel, and autobiography. Starred Review. A riveting and disturbing account of the clash between the beauty of the wilderness and civilization's unrelenting demands on the natural world. The Last Unicorn is a book you simply must read. For one thing Bill deBuys has a real gift for storytelling. And this story, the quest for an animal that was driven to the point of extinction almost as soon as it was 'discovered', is a true adventure. Inspired and entranced by visions of the saola, DeBuys examines what little is known of its enigmatic life as he searches the landscape for glimpses of what we must hope is an enduring future for the natural treasures surviving in these remote mountains. This is a great excuse for an adventure - and having taken the excuse, Bill deBuys delivers. What a wonderful account of a 19th century drama in the 21st century, a story the likes of which we may never read again. Imagine Joseph Conrad, Bruce Chatwin, and Paul Theroux writing the most poignant allegory of our time, a quest for the rarest mammal on earth in one of the most hidden places in the world ... In a world that grasps for too much, deBuys's austere and tender prose becomes the plaintive voice for the myriad forms of life being monetized and forever extinguished. It would be an understatement to call a forest, in all its deep complexity, merely beautiful. The same goes for The Last Unicorn. As he tracks a living myth through the jungles of Laos, deBuys' eyes and ears miss nothing, and his poetic grace conveys everything. I haven't read a journey so epic, lyrical, and meaningful since Peter Matthiessen's The Snow Leopard. Travel literature has contributed immeasurably to many people's understanding of foreign lands and cultures they might not otherwise visit – or even become aware of. One of the many contributions of travel writers – such as William deBuys, author of The Last Unicorn – has been to raise awareness of the global epidemic of poaching, the removal of fauna and flora (almost always protected by regional and international laws), a scourge that, in addition to habitat loss and environmental pollution, threatens many species of plant and animal with extinction. The mountainous terrain that deBuys navigates is frequently cris-crossed by the snare lines of armed poachers. 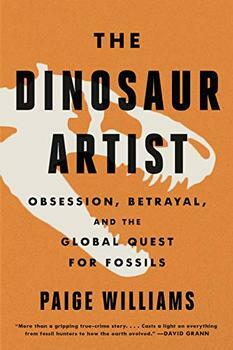 New Yorker magazine staff writer Paige Williams explores the riveting and perilous world of fossil collectors in this true tale of one Florida man's attempt to sell a dinosaur skeleton from Mongolia.